The following blog post was submitted by Shaylyn Robertson. 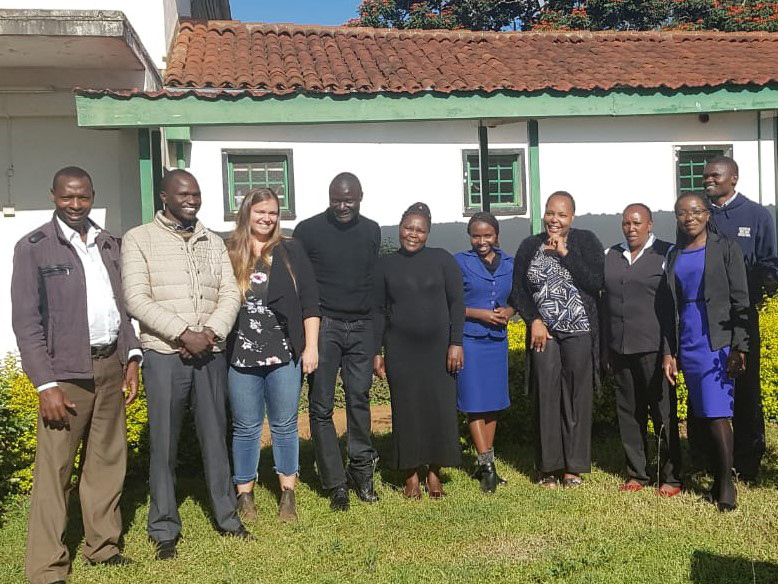 Shaylyn is taking part in an internship through College of the Rockies in Nyeri, Kenya where she is serving as an Eco-Tourism Business Officer with Dedan Kimathi University of Technology. Shaylyn graduated in 2016 with a Bachelor of Arts in International Studies and Economics from the University of Northern British Columbia. During her studies, she spent a semester abroad in Mexico. Upon graduation, Shaylyn moved back to her hometown of Quesnel, B.C. to complete a Local Government Management internship with the City of Quesnel through a program funded by the Northern Development Initiative Trust. Through this internship, Shaylyn gained experience in tourism, economic development, business expansion and retention, and marketing. Soon after, she joined the Summerland Chamber of Commerce as the Communications and Membership Coordinator. Having always aspired to travel to Africa, Shaylyn talks about her experiences there. As Canadians, many of us are privileged to take at least one vacation in our lifetimes. Usually, these are just a week or two, but you can observe in that short amount of time the differences in cultures and customs as you walk around cities, eat new foreign food and interact with locals. In my personal experience, I believe that going somewhere for a short vacation and actually living somewhere brings about a very different set of experiences. While vacationing, it is a great chance for us to open our minds and become more aware of the differences and similarities that exist between us as human beings. Meanwhile, living and working somewhere abroad moves you from being simply an observer to being a participant and member of society. You must learn and abide by a different set of rules, which can often be difficult and frustrating. Even something as simple as printing a document or exchanging currency can be more difficult and time-consuming in this new environment. I have always considered myself to be a very adaptable individual when it comes to changes in my environment; however, my experience in Kenya has tested that adaptability and my ability to be patient. Since the beginning of my internship I knew I would have a good support system with my colleagues here, I immediately clicked well with them and I’ve developed many close personal friendships. They have been very patient with me as I learn the ways of working in a system different than my own, and in turn I have learned to be adaptable to these new systems, albeit some difficulties in the initial stages. At the beginning of my internship I was sometimes finding it difficult to communicate, as most of the staff have very busy schedules and most interactions are done face to face, and not by email as in Canadian work culture. After some frustrations and inability to communicate effectively, I decided to bring up the issue and was told that I must be willing to interrupt people in Kenya, regardless of whether or not they were already speaking to someone in person or on the phone. “This is the only way to get things done in Kenya” is what I was told, and they were right! Communication has drastically improved since that discussion, despite how I initially felt about interrupting someone. I was able to overcome this obstacle by realizing that what I consider as effective communication will vary greatly across cultures and continents. By accepting the barriers to communication as a fault of my own and not that of others, I could adapt to a new environment and get my work done more effectively. Throughout this experience I have improved my cross-cultural communication skills, and gained more self-confidence, cultural sensitivity and patience. I am still learning every day, but I know I will leave Kenya as a different person and employee, with the skills that will help me with future employment opportunities. The power of travelling cannot be underestimated, and a piece of my heart will always remain in Kenya.